Fumigation is a very thorough method of removing drywood termites from a structure. Before the service, we will begin with a full inspection of your property to determine the scope of the infestation. If fumigation is recommended, we will schedule a time that works best for you. The whole process takes approximately 3 days and will require you to prep your home before we can begin the tenting process. While your home is securely tented, fumigants will be pumped into the structure which will penetrate all areas termites live. 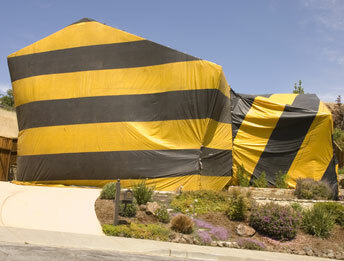 After the fumigation is complete, we will need to remove the tent and air out the home before you can return. 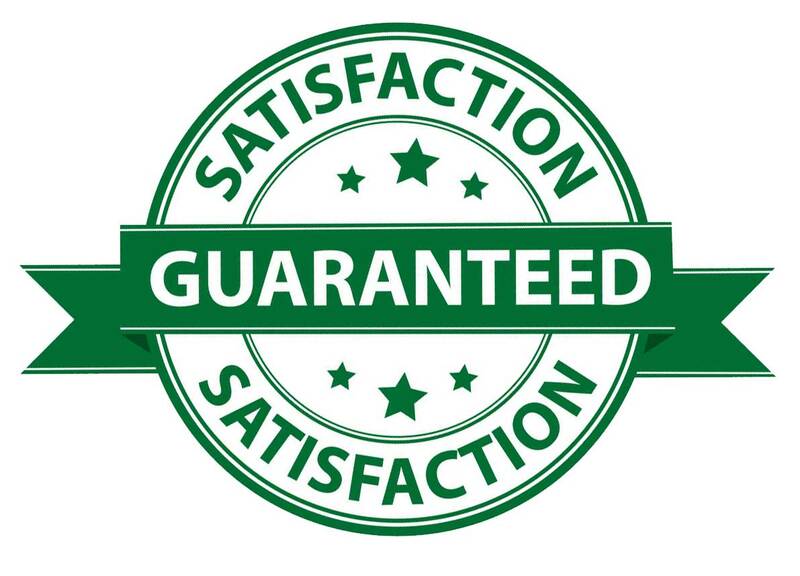 Fumigation is a guaranteed service that will keep your home termite free for up to 2 years. Each year, about 100,000 fumigations are conducted in California. Costs for termite control and repair of damage from drywood termites in California exceeds $300 million annually and are projected to increase! Scientists have shown that fumigation is a reliable and complete method for elimination of infestations of drywood termites and other pests such as wood-destroying beetles and bed bugs. Products like Vikane and Zythor are preferred for fumigation in southern California because they leave no residue behind after the tenting process has ended. It is your responsibility to help prepare your home for the fumigation. Taking the following steps prior to fumigation helps ensure its success, resulting in the elimination of drywood termites from your home. The day before fumigation, water and cut back foliage, shrubbery and landscaping at least 18 inches from the structure to allow room for the tarps. - Remove all plants from your home, including those on outdoor patios. - Evacuate all people and pets from the structure. - Remove mattresses completely enveloped in plastic, such as baby mattresses with waterproof covers, or remove the covers themselves. - Remove or double-bag any food, feed, drugs and medicinals in special Nylofume bags your fumigator provides. You do not need to bag or remove items in plastic, glass, or metal bottles, cans of jars with the original manufacturer’s airtight seal intact. - Seal the Nylofume bags one at a time by twisting the tops, or folding down and sealing with tape, twisty ties, string or rubber bands. DO NOT TIE BAGS IN A KNOT. Your fumigator can provide special instructions on proper bagging procedures for you. - Double-bag cold and frozen foods and leave them in the refrigerator and freezer to make it easier to stack the bags inside. Termites swarm in the Los Angeles area all year long. We offer a 2 year warranty on all whole-structure Drywood termite treatments. To prevent termites from returning, we also offer continuing protection plans. A technician will regularly inspect to your property for termites and apply preventative treatments where neccessary. Pest Innovations offers free Termite Inspections to home owners, HOAs, Property Management and business owners and there is a nominal fee for Escrow Termite Reports. We also offer yearly termite treatment control services. Learn more about our termite inspections.